Our team of Chicago workers compensation lawyers works with injured workers and their families. The modern workplace presents employees with lots of dangers. Almost at every turn, they can get hurt. If they don’t get injured, they might get an illness too. Lots of people know about mesothelioma. That’s not the only major sickness workers encounter. There are others you need to watch out for! They come about where you work, what you work with, and how you work. Whether you get sick or hurt from work, the damage can last well into the future. Hopefully, all you’ll need is a trip to the ER or doctor. Yet, that’s not often the case. You might need physical therapy. You may have a disability. This will cost you money and change your life. The pain and suffering can stick around forever. Yet, there’s something you can do. You’re allowed to bring workers’ comp claims for on-the-job injuries. Each state has its own process for handling them. Even the federal government set up a system for worker relief. In the next few sections, we’ll talk about how you bring a claim. We’ll also explain what you can do to maximize its value. For more info, give us a call. Our team represents workers. We can help you too! What are Worker’s Comp Claims and Why do I Need One? How can I Protect my Workers’ Comp Claim? Want More Info on Workers’ Comp Claims? The rise of modern industry has heralded in an age of incredible wealth. It’s created vast opportunities for all kinds of people. This has allowed the middle class to explode. Their jobs afford them great pay and flexibility. Millions of new workers flood industrial sectors to pave the way for progress. Yet, it’s not all rosy. Sometimes, accidents happen. When they do, the walls can come crashing down on both the worker and the company. Surely, work accidents can bankrupt companies and kill workers. Realizing this fact, each state and the federal government have created a workers’ comp system. It functions like insurance to reimburse workers for injuries on the job. 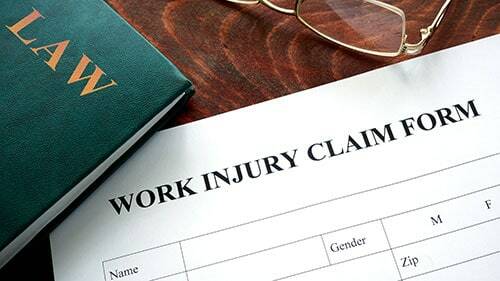 To obtain compensation, workers must file claims. Importantly, the program directs workers through this system and shuts off the option of a lawsuit. At least, that’s how it works most of the time. Workers’ comp claims seek compensation for costs and pain suffered while working. Why would you need to bring a claim? Well, if it isn’t apparent already, we can walk through the reasoning. Lots of worksites are dangerous. Vehicles move around. Large machinery grinds away. Noxious gasses swirl past. Any one of these circumstances and many others can make your ill or in pain. This can force you to seek medical care, miss work, or even change jobs. These are different kinds of offenses if you think about it. There might be physical suffering. There could be mental distress. There will surely be financial losses (think about the medical bills or lost wages). Also, it’s not hard to imagine disability or a lack of normalcy in your life. If these came about from on-the-job accidents, then you’ll be forced to file a workers’ comp claim. Otherwise, you can’t get justice or reimbursement for them. You’ll be prevented from financial compensation for the costs, pain, and suffering of the event. This is why you need a workers’ comp claim if you get hurt at work. Before you get to the process of workers’ comp claims, you need to examine the substance. You must critique your right to have one. That requires a careful look at the demands of these claims. Then, it calls for a review of what happened in your case. Finally, it mandates a look ahead to possible defenses. We do that now briefly to show you what the substance of workers’ comp claims entail. This will show you if you can bring one. You must answer this before you go about identifying how you bring one. The substance of workers’ comp claims is pretty simple. All’s they require is that a 1) worker was 2) injured while 3) working. While that’s easy, complications may arise. They can pop up quite quickly too. For instance, an employer might doubt that the injured person was an employee. They might say he/she was an independent contractor, out-of-state worker, or otherwise unavailable for workers’ comp. Also, employers might question whether the person was truly harmed at work. This is more easily done with illnesses than injuries. Physical injuries are easier to point to and spot. When and how someone got sick is harder to prove. That makes your job more difficult. As you can see, it can be quite difficult to prove your very simple workers’ comp claim. There are some things workers do to bypass these hurdles. They take certain steps to firm up the substance of their claims. Most of the time, working with a competent attorney can avoid all of these traps. Yet, you can also use analogies to similar cases, evidence, and persuasion to win the argument. You’ll have the momentum with physical injuries. With illnesses, medical opinion and similar evidence will lend weight. The point is this: remember that the heart of your case is the substantive story. This will make or break your claim. Start with the elements and see if the facts support them. The more they do, the better off you’ll be! Though every state has its own claims process, they all mirror each other in ways. They have a similar shape and form. To begin with, they all start the same way: with an accident. A worker gets hurt or sick and that begins the ordeal. Where they go from there is how they differ but let’s focus on their similarities first. The first thing you’re going to want to do is get medical help. This might sound contradictory but it’s true. This will help build a record of what happened. It also might be a prerequisite to obtaining workers’ comp benefits. After that, you should file a report with your employer. Note, the company might be obligated to give you the necessary forms. The report should detail what transpired including any injuries you suffered. Some states require you to simultaneously file a claim with the workers’ comp agency. But some (like Illinois) don’t require that. After the report is filed, your employer (or its insurance company) can either accept or reject it. If the company accepts it, you should start receiving benefits. Those benefits might include reimbursement for expenses, lost wages, future pain, etc. If the company denies it, then you can appeal to the workers’ comp agency. In limited circumstances, you can appeal that decision to a civil court. This is the general path of most workers’ comp claims. They each have procedural constraints (such as deadlines) and substantive demands (like a showing of loss) that you must consider. With an experienced attorney, you will be able to bring a workers’ comp claim in the most effective fashion. In the next section, we outline how you can preserve and even maximize the value of that claim. Take careful time to see how these examples compare to the facts of your incident! After reading the above, you should have a good understanding of how to bring a workers’ comp claim. You should also know about what you need to put within it to be successful. Now, we want to turn protecting your claim. There are a few things you can do to make sure it’s preserved. First, go to a doctor. This isn’t just medical advice. Of course, it will help your condition, but it will help your claim too! How will it do that? It will start to form a record. You will use this record to prove your injuries. It will mitigate the insurance company’s ability to say you really weren’t hurt or that you caused your harms. Plus, some states require you to seek medical attention. Thus, if you don’t do it, you could put your whole recovery in jeopardy. Second, talk to a lawyer. Don’t just see any lawyer. Find one that’s practiced workers’ comp law. It’ll make a difference. Talk to that person about what happened. If there was an accident or event, explain the details. Go over any symptoms or injuries with him or her. This process will allow your counsel to build a claim and offset against what the insurance company or employer will do. You need to plan for that fast. Your strategy should be set and put in place as soon as you possible. That will protect and even maximize your potential claim. Working with a lawyer can ensure that happens! Third, be your own best advocate! Shortly after the incident, make a log of what happened. Then, as events continue, keep track of all your receipts and expenses. You might even want to ask your employer for a lost wages form so that you can record that. Also, note any witnesses or parties present when it occurred. Their memory might help you in your claim. Finally, coordinate all of this work with your lawyer. You might be surprised just how much you can aid your own cause. Hopefully, this should start you down that path! These simple steps will ensure that your workers’ comp claim is protected. To make sure it is completely preserved, speak with an experienced lawyer. You can steps to maximize your claim. Find out how today! Call our offices to learn more! Don’t fret. You can learn even more about workers’ comp issues in these resources! You can also give us a call to find out what your claim might be worth! The mechanics of workers’ comp claims frustrate very smart people. Leave it to us! We know how to walk claims through each state’s process. That’s what we’ve spent years learning and honing. To hear about how you can get the help you need, contact our team. We can speak to you individually about the accident. Then, we can discuss the best way to bring a claim!